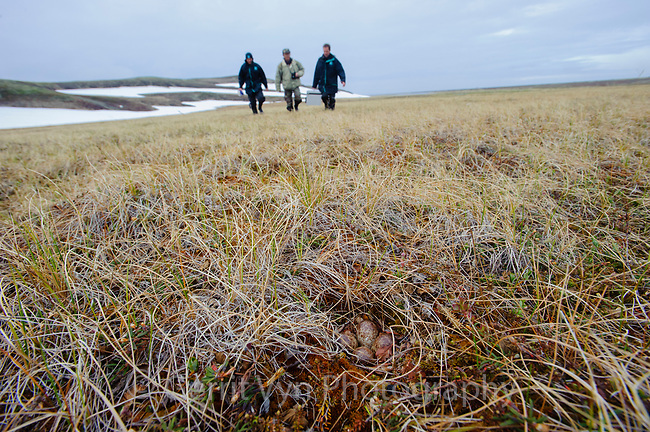 Aviculturists from the Wildfowl and Wetlands Trust in the UK and Russian ornithologist Pavel Tompkovich approaching the nest of a Spoon-billed Sandpiper with a portable incubator. The eggs were removed and carefully taken to an incubator housed in the village for captive rearing. Chukotka, Russia. June.